Is there any stopping the Toyota Hilux’s success in South Africa? Apparently not, as SA’s favourite vehicle just racked-up another monumental sales figure for March 2019. 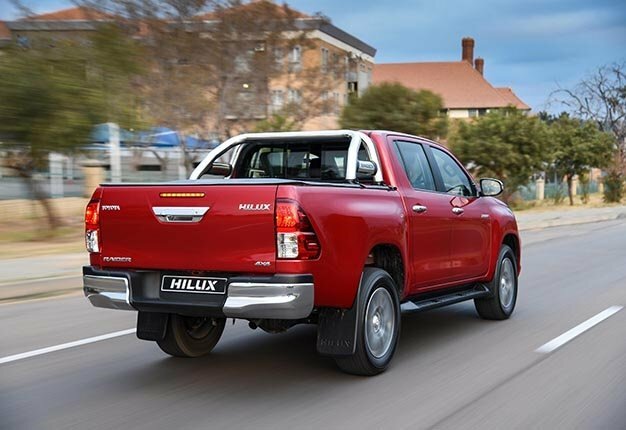 The Hilux, leading for the third straight month of the year, recorded 4252 units being sold off to new owners; outselling its nearest rival, the Ford Ranger, by nearly 2000 units. The Ranger sold 2376 units, besting the Nissan NP200 (2144 units) in second place. The Isuzu D-Max slots into fourth place on 1607 units, followed by the Nissan NP300/Hardbody on 1048 units. The Toyota Land Cruiser Pick-up goes sixth on 288 units, followed by the ever-impressing Mahindra Scorpio Pik-up on 253 units. The Volkswagen Amarok and GWM’s Steed go eighth and ninth, respectively, with 188 units sold, followed by the Nissan Navara on 161 units.